Need to top off your Southwest Rapid Rewards account to hit a certain number of points to book a flight? Do you need to meet a credit card spend amount to get your Companion Pass this year? Do you want to fly someplace warm? Well, you can accomplish this trifecta by buying Southwest points — if it makes financial sense. Right now, Southwest is holding a point sale where you can earn between 30 and 50% MORE points when buying 5,000 or more points. The sale ends May 16, 2019. Here’s our guide on how to buy Southwest points and more details about the sale. To Buy — or Not to Buy — Southwest Points? That Is the Question. In general, I don’t recommend that you buy Southwest points unless it’s the only way to quickly get you to a total number of points needed to book a flight almost free. Spending $100 to get you to the total number of points required is better than paying for the entire ticket! Southwest often has points sales where they either lower the price by a percentage or throw in some additional points for the same amount of money. This sale throws in more points for the same spend. 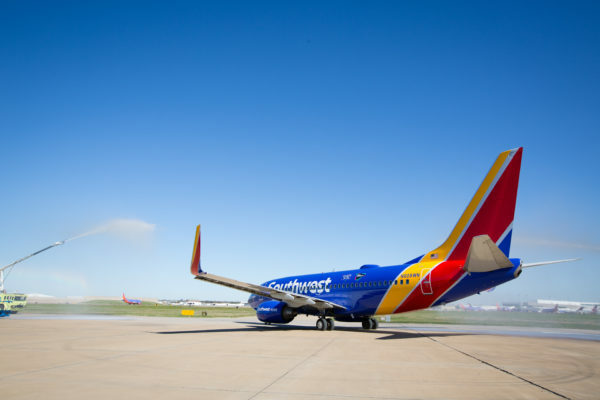 Early on, when we were working to earn our first Southwest Companion Pass, which lets one person fly free with you for up to two years after earning 110,000 qualifying Southwest points, we purchased some points to get us to our first free flights. I factored this cost, along with the Southwest credit card annual fees and $5.60 security fee per person per way, into the cost of flying almost free. We ended up flying to six destinations within one year for less than $100 per flight for ALL four of us. Not bad! But we could have done it for even less had we avoided purchasing points. The value of Southwest points vary. I calculate it by dividing a given fare price in cash by the number of points it costs. This can vary from 1.5 to 3.3 cents per point. Sometimes the points price is much lower than the equivalent cash price. With the current sale, you’d be paying around 1.8 to 2 cents per point, which is pretty good and roughly their average value. RewardExpert.com offers a handy Southwest calculator, as well, to help you figure out the value of a Southwest point. Additionally, Southwest reduced the value of each point in April 2018. This is why it’s always good to spend the points you have rather than holding on to them. They DO lose value over time! But to really make this offer a good deal, you could choose to pay with a travel credit card that earns Southwest points or points that instantly can be transferred to Southwest points like Chase Sapphire Preferred. You’ll earn DOUBLE points on the Southwest cards, because this will code as a “Southwest” purchase, AND those double points (NOT the points you buy) will qualify for the Southwest Companion Pass, which lets one person fly free with you for up to two years after you earn 110,000 qualifying points. 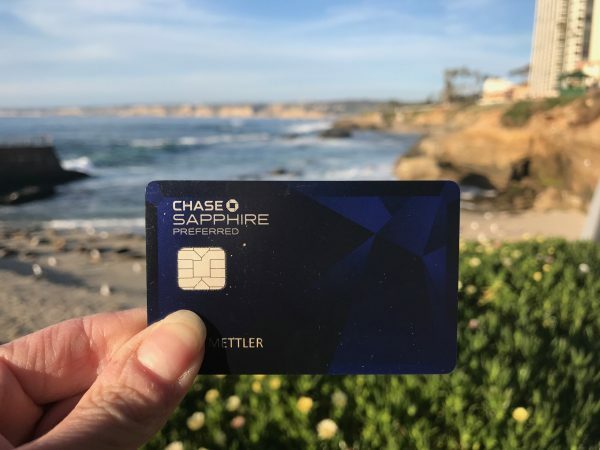 If you pay with Chase Sapphire Preferred (read my full review on this card here), you’ll also earn DOUBLE points, because it will code as a travel expense, which you can then move over to Southwest instantly to use to book free flights. Note: Points earned with Chase Sapphire Preferred DO NOT qualify for the Companion Pass. That equals 14,550 points, which is still roughly 1.9 cents per point, again about the average value of a Southwest point. Of course, if you can earn points for free — through ordinary spending on the Southwest credit cards or in the Rapid Rewards Shopping Portal, etc. — that’s better than paying for them :). Even if you purchase the $99 Motley Fool subscription in the Rapid Rewards Shopping Portal to earn 5,600 points, that’s still about 1.8 cents per point, a better deal yet. 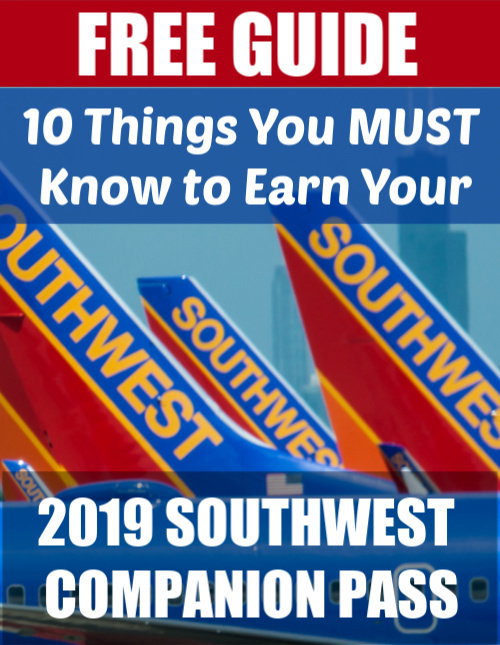 If you NEED Southwest points, purchasing during a sale with a Southwest credit card or Chase Sapphire Preferred is your best bet or check out the Rapid Rewards Shopping Portal to see if you can find a better deal. Want to earn Southwest points on the cheap? Subscribe to my weekly email newsletter where I share the best cheap deals on the Rapid Rewards Shopping Portal where you can earn lots of points on the cheap! Don't Miss Out on Southwest Points! Subscribe to get my weekly email newsletter with the latest Rapid Rewards Shopping deals and other great ways to earn Southwest points. Success! Now check your email to confirm your subscription. Don't forget to check your spam folder! Free travel could be at stake :). To buy Southwest points, visit Southwest.com/account/rapidrewards/points/buy-points. Select the number of Rapid Rewards points you want to buy from the dropdown list. Note: Purchased points DO NOT count toward the 110,000 points you need to earn the Southwest Companion Pass. Have you ever purchased Southwest Rapid Rewards points? Do you think it’s a good deal? Why or why not? Let me know in the comments. Hi! The above sale isn’t valid. I called Southwest to attempt to purchase points at the discount, and they wouldn’t honor the sale, nor is it available online when I’m trying to purchase points (21k, so over the required 10k). If you have any secret tips, I’d love to know as time is running out on the sale! Thanks! What?! That is crazy. They were promoting the heck out of this sale and it definitely did not end until March 7. I saw it promoted in emails and multiple places. I am going to forward you an email they sent me that said March 7, in case you want to show it to them. They should 100% honor this.